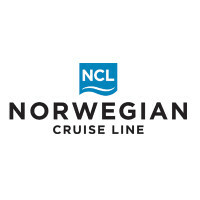 Norwegian Cruise Line Corporation is an American cruise company, which was founded in 1966 and which is based in Miami-Dade County, Florida. The company has a Freestyle Cruising concept, meaning there is no seating arrangement and no formal attire required for dining. To become part of this unique environment, complete a Norwegian Cruise application. The company is publically traded. It has 44.1 percent of its stock publically listed on NASDAQ. Its main shareholders are Getting Group, Apollo Global Management, and TPG Capital. By June 2014, the company controlled about eight percent of the total worldwide share of the cruise market. This means it is one of the largest cruise lines in the industry. Knut Kloster and ted Arison began the company in 1966 with a single 8,666-ton, 140-meter cruise ship, called Sunward. The cruise operated between Southampton, United Kingdom and Gibraltar, Spain for a single season. The founders soon left the company. Norwegian Cruise quickly became known for its innovative business strategies, such as the first combined air-sea program and cruises with the capability to carry cars. The former CEO, Kevin Sheehan, was featured in an episode of Undercover Boss. In 2012, the company signed a memorandum of agreement to purchase Norwegian Sky for about $260 million. It is currently building a couple of new vessels, which will be available in the next few years. This is a top-secret project, called “Breakaway Plus Class” and will likely be able to carry 4,200 passengers. There are many employment and job opportunities at this company. There are corporate careers, which are land-based jobs based in Miami, Florida. There are also offices in Sunrise, Florida and Mesa, Arizona. The company is hiring a diverse set of employees—people from different locations and backgrounds. Corporate Norwegian Cruise jobs can be viewed when you apply online. In addition to corporate Norwegian Cruise careers, you can apply for shipboard employment. These jobs give you the experience of working in hospitality, while also getting to travel to many destinations around the world including Alaska, Europe, Australia, and the Caribbean Islands. You will also be able to interact with coworkers and passengers from around the world. How old do you have to be to work at Norwegian Cruise? The minimum age to work here is 21 years old. There are many entry-level positions available on the cruises. There also many positions that require experience. To understand the requirements for Norwegian Cruise jobs, read the job description carefully before completing the online application. Benefits for Norwegian Cruise careers are numerous. While onboard, you have space in a shared cabin. All meals are provided in a special crew mess all. Your uniform and laundry can be done free of charge. There is a special gym, bar, and shop for crewmembers. To communicate with those not on the ship, you can use the Internet Café and complementary Wi-Fi. Recreation Staff – These workers’ responsibilities include overseeing all of the recreational areas onboard, including Aqua Park, Bungee, Bowling, Rock Climbing, and Sports Courts. You will make sure everyone is being safe on the equipment, hosting events for guests, cleaning equipment. You must have experience working in the hotel industry, a high school diploma, and fluency in English. Salary is unlisted. Culinary – Working in this career is a team effort. You will be required to make food according to company and sanitation standards, communicate with coworkers, and provide the best food and service to customers at all time. To have a competitive application form, you must have prior experience working with food. Salary is unlisted. Security – This important part of the ship crew is security because passenger and crew safety is paramount. Those in this position perform regular inspections of the ship to make sure all standards are followed. For this job, your resume must include at least four years of military training or fifteen years of law enforcement experience These two skills would help you have a successful Norwegian Cruise application. Salary is unlisted. Travel Agent – This is an important corporate position. You are required to process all airline tickets for shipboard members. You will create itineraries for each crewmember. You have to know all crewmembers’ immigration statuses to ensure that everyone has the necessary forms to work aboard the ship. To be good at this job, you need to be organized and efficient. Salary is unlisted. Part of the process for how to apply for Norwegian Cruise online is the interview, so it is a good idea to prepare for some questions that may be asked of you. Why did you complete a Norwegian Cruise job application online? It important to have a clear and articulate idea of why you want this job. To get ideas of how to answer this question, you can find explanations of the unique aspects of the work environment and opportunities provided by this job. What makes you the person for this position on or off ship? Making sure you have committed all information about the Norwegian Cruise jobs online to memory will allow you to answer this question well. You should give examples of the skills you have that are relevant for this position. What similar positions have you held? The interview wants to get a sense of whether you will be an experienced worked. Don’t worry if you don’t have any previous work experience. Just make sure that when you apply for jobs at Norwegian Cruise, you only apply for jobs for which you fulfill all the requirements. What do you think you will struggle with at this job? Come up with something that may be difficult for you at first. It would be a good idea to explain how you will be able to work hard to overcome your challenges. You want to come off as someone who is eager, motivated, and competent. What other jobs are you applying for? You can be honest about what other work you are looking for, but you should clearly explain why this position is your top choice. The interviewer likely knows you filled out multiple free applications. There should be no doubt that your dream is to work for Norwegian Cruise. The application process may seem challenging or even overwhelming. As long as you follow all instructions on the company’s job link, you have the chance to begin an exciting new opportunity filled with local and/or international experiences with coworkers and customers from around the world. You will become part of a truly global experience. All open positions can be viewed online. To complete a direct application, you must create an account on the company website. Then, you can complete all personal information and answer all questions online. Norwegian Cruise also holds Job Fairs, which can be a helpful place to gather information and to obtain a printable application for Norwegian Cruise. Once you complete the application, you may be asked for an interview. To help your preparation for the interview, it a good idea to download application for or keep a printable application form, so you can review your answers and get a sense of the sorts of questions the company is looking for you to answer. If you are offered a job, it is likely contingent upon completing a pre-employment physical and medical examination and a background check. When the company asks you to complete forms or submit information about yourself, it is important to do everything as quickly as you can in order to give off a good first impression. Southwest Airlines: See this page for jobs at Southwest Airlines. US Airways: See this page for jobs at US Airways. Spirit Airlines: Visit the Spirit Airlines application. Japan Airlines: Visit the job application for Japan Airlines to apply today. Cathay Pacific Airlines: See our resource page for more information on Cathay Pacific Airlines careers.